A perennial bestseller from a leading authority, this book provides an effective 10-step program for training parents in child behavior management skills (ages 2 to 12). Professionals get proven tools to help parents understand the causes of noncompliant, defiant, oppositional, or socially hostile behavior at home or in school; take systematic steps to reduce it; and reinforce positive change. Comprehensive assessment guidelines are included. In a large-size format for easy photocopying, the volume features numerous reproducible parent handouts and two rating scales (the Home Situations Questionnaire and the School Situations Questionnaire). Purchasers get access to a Web page where they can download and print the reproducible materials. Reflects 15 years of research advances and the author's ongoing clinical experience. Fully updated model of the nature and causes of oppositional defiant disorder (ODD). The latest data on the program's effectiveness. Spanish-language versions of the parent forms are available online for downloading and printing (www.guilford.com/p/barkley4). 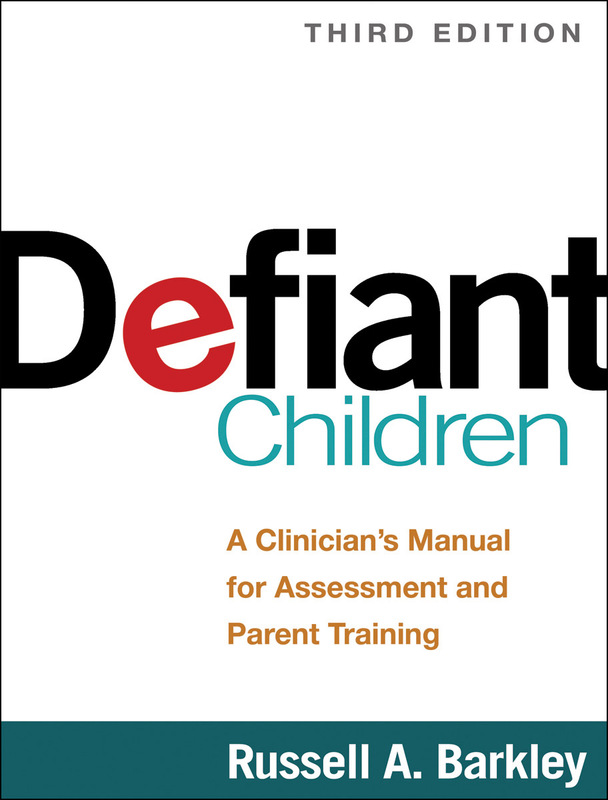 See also the related title for parents: Your Defiant Child, Second Edition: Eight Steps to Better Behavior. For a teen focus, see also Defiant Teens, Second Edition (for professionals), and Your Defiant Teen, Second Edition (for parents), by Russell A. Barkley and Arthur L. Robin.